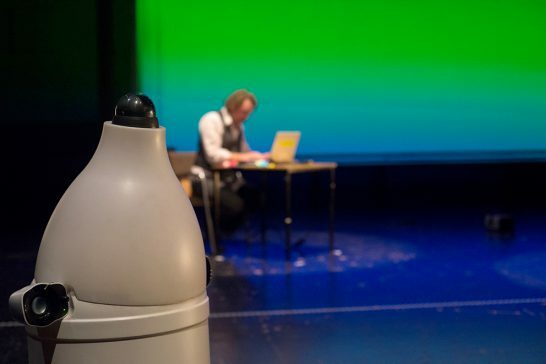 Multi-perspective, participatory, visionary: ThAEtre Machine (ThAEtermaschine) is an evening dedicated to the future of theatre, curated by Interrobang and the Sophiensaele Berlin. 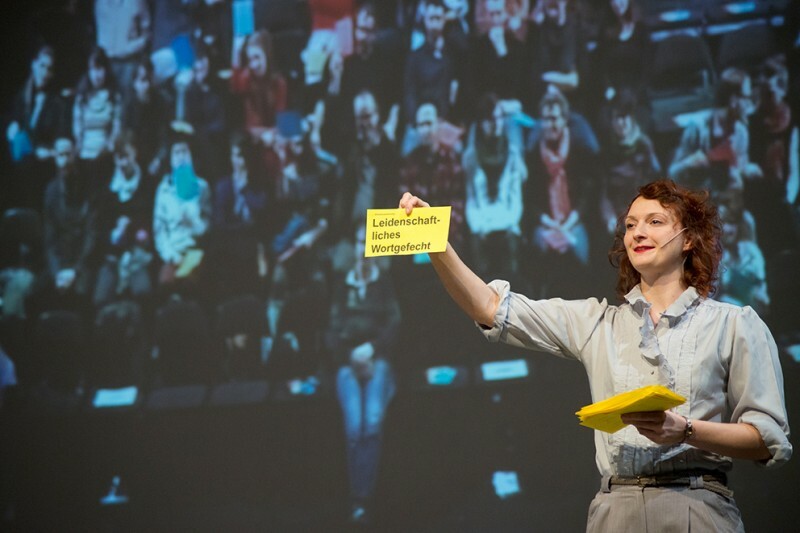 Interrobang and other theatre producers take positions and, in diverse forms of presentation, pose the question: What do we want from the future of theatre? 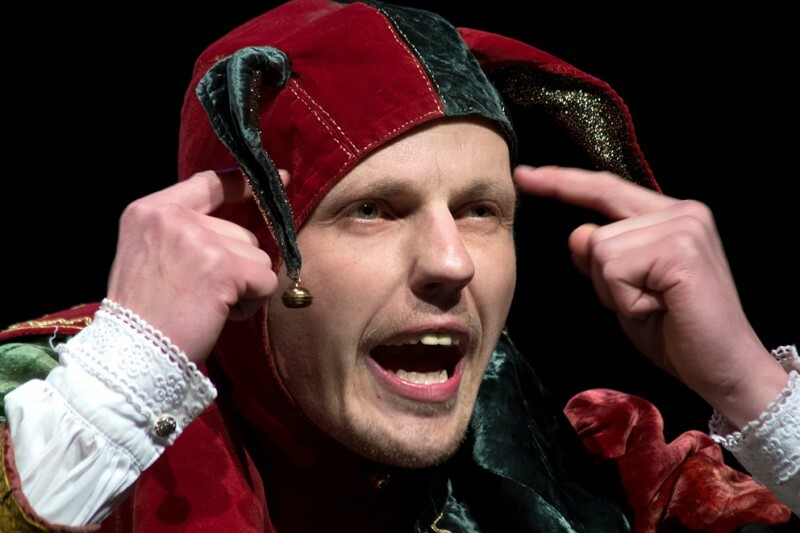 “We could, of course, call what would be created something different, let’s say, thaetre” – we take Bertolt Brecht’s key vowel swap as the starting point from which to think artistically about the future of theatre. What significance and what forms could the future of theatre have in light of current social and institutional restructuring, cultural budget cuts, political and aesthetic developments? As part of our Doppelpass partnership with the Sophiensaele, we have invited other theatre makers and performers to deal with the question of what new institutional and artistic theatre forms are realisable beyond what exists today. We then put the different contributions together into a multi-voiced evening about the future of theatre. Instead of the usual separation between theory (lecture, symposiums) and practice (performances, showings), interdisciplinary formats are developed, blending artistic reflection and critical discourse. 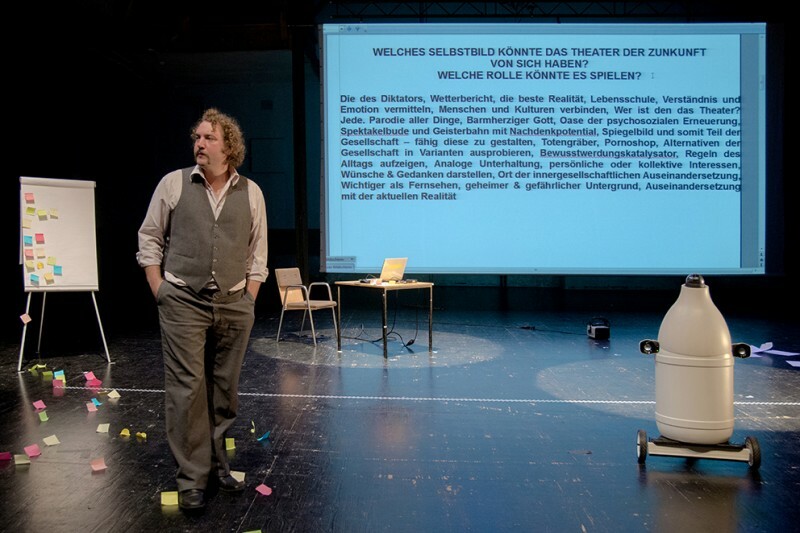 All the collaborators were able to access the collected inputs from the ThAEtrofon, our mobile research installation, which toured theatre foyers in Germany for two months, collecting opinions and visions for the future of theatre. The theatre visionaries are: Interrobang, copy & waste, the Deutsche Theater in Göttingen (Henrik Kuhlmann, Swantje Möller, Michael Meichßner) and Turbo Pascal. Interrobang appeal for ThAEtocracy: In the future, the audience will be able to vote for its theatre. What is then performed is up to the public. A no-holds-barred menu of theatrical choice, the outcomes of which are different each evening. copy & waste argue: Full on with light and camera. 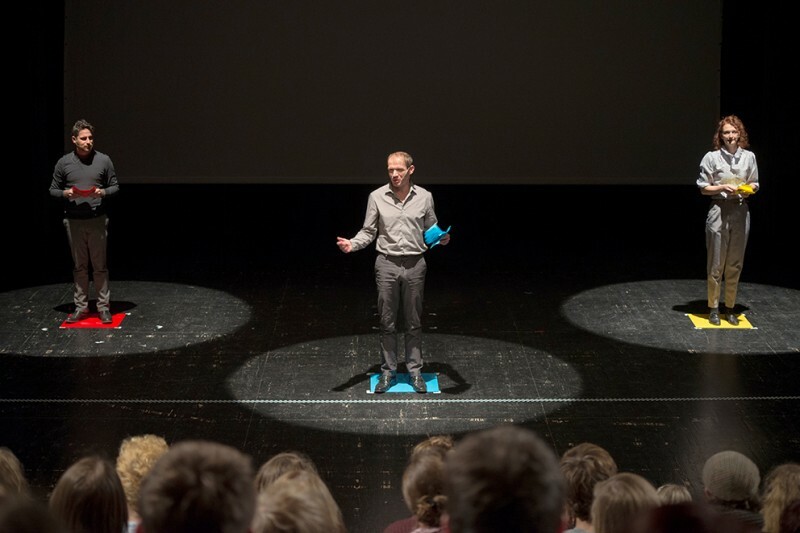 In a film with live intervention, the collective expose themselves – discursively – and arouse an argument about theatre’s pornographic conditions of production and its future. 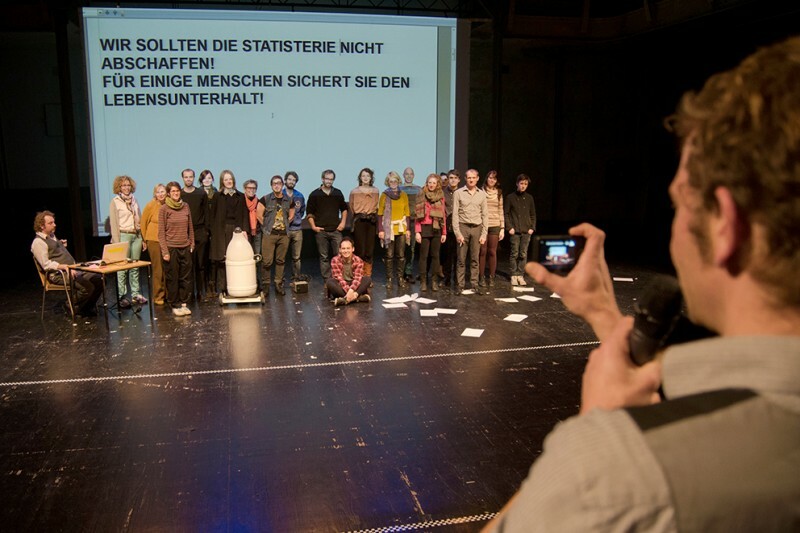 The Deutsche Theater in Göttingen simulate: In 2040 almost everyone will be old. The few young people can’t go to the theatre anymore, their small backs having to bear the burden of generating the pension contributions for the old. How does theatre react to an aging society and the physical limitations of its future audience? A theatrical aging simulation from the perspective of an actor in regional theatre. 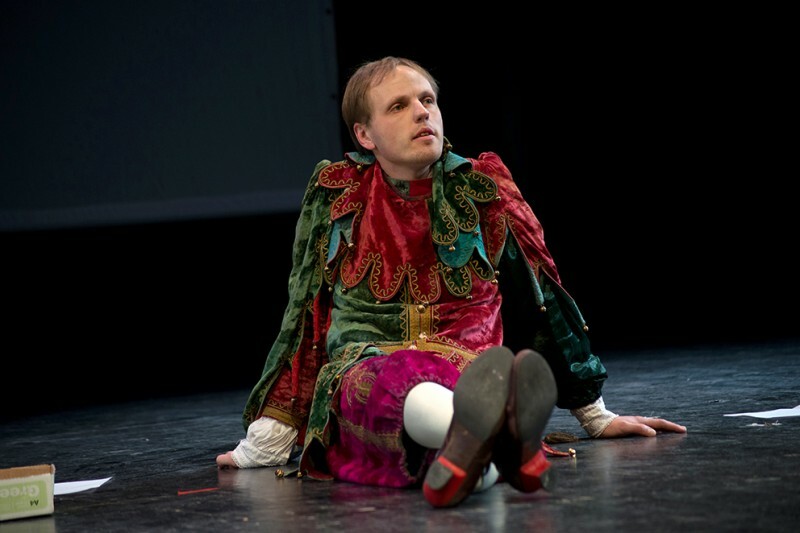 Turbo Pascal speculate: In a discussion round the audience can develop and discuss its own questions, desires and scenarios for a theatre of the future. Keynote speaker and moderator, the robot ‘Pascal’. Premiere: November 2013 Sophiensæle Berlin. In co-production with SOPHIENSÆLE. Funded by the Doppelpass Fund of the German Federal Cultural Foundation. Special thanks to our media partner taz.die tageszeitung.